rls179 – I am a biomedical engineer student who likes art, pole vaulting, photography, music, and shiny things. I am a biomedical engineer student who likes art, pole vaulting, photography, music, and shiny things. Throughout the semester, this course has brought a lot of challenges, information, and confusion. I have never taken an online class before, but I never expected this. To me, virtual worlds were always classified as social sites or gaming sites, never as a classroom. Second Life showed me that this was very possible and The University of Akron wasn’t the only school doing it. I was never able to attend the actual class because I had a conflicting class, but even being in an academic atmosphere in Second Life was very interesting. I was able to make a whole new identity for myself over the internet. I could voice my opinion on this blog and choose the personality that people were going to see out of me. I have never met most of my classmates in person, but I am familiar with their virtual identity. It was a whole new classroom experience. I did take a lot out of this class; both negative and positive. I was read the prompts for our blogs weekly toward the beginning of the semester and write them within a reasonable time frame. Once the semester advanced, though, the focus of the class became more focused on the project. From the beginning, the project confused me. I wasn’t quite sure what the actual requirements were, and neither were my team members. My other classes got more intense and I became busier. This class lost some of my focus because I didn’t know what was going on and I couldn’t be at class. At first, my group communication was spotty, which didn’t help. We finally got our project going and we weren’t very successful, which was discouraging. At that point, it was too late to plan another project that would have been successful. I really liked the idea of the project. I think social media is an important tool to spread awareness, but if people don’t even want to listen to what you say, what do you do? What can you do? At one point, I simply handed out a note card to someone who expressed interest, but another person in the area scolded me for loitering. He was very protective of his hangout place and I was just a naive person, desperately trying to do a school project for a good cause. Once again, not very encouraging. There were many cool things about this class. The readings were definitely interesting and showed me a new perspective when it came to social media. 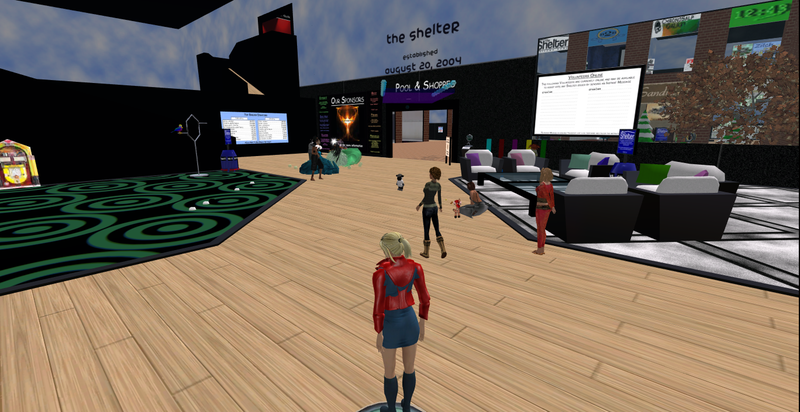 I think Second Life is a good place to hold a virtual class, even if spreading awareness on it isn’t as easy. I liked all the free stuff in Second Life too. I was able to make my own identity with all the options for the avatars. Word Press isn’t my favorite form of social media, but I did learn how to navigate more fluently. Overall, this class was a unique experience that proved to be difficult and confusing at times. Even so, the experiences taken from it made it worth it in the end. Are We Producers, Consumers, or Both? Content on the internet has evolved from people providing information for others to take in to active participation and constant revision. Axel Bruns, author of “From Prosumer to Produser: Understanding User Led Content Creation.”, defines a “produser” as a combination of producers and prosumers. A prosumer is a consumer that is well informed and active in the content formation and revision process. That’s at least how I interpreted Bruns presentation. I have to be somewhat critical of this presentation for a minute. It was very hard to understand as a member of the general public. I think that he makes important points about produsage and its relevance in today’s society, but he conveys it in such a way that is almost counterproductive to his point. He’s encouraging his audience to take active participation in internet communication, but his confusing presentation deters people from being active consumers. I think this idea of produsage is important. Bruns uses websites like Wikipedia as examples of produsage. Wikipedia is a data base that is constantly being updated by users. This can cause credibility issues, but it can also bring together the knowledge of many individuals and sources instead of a finite group of people running the data base. So much more information can be spread and even become more credible with more people able to edit it. Discussion can occur over information if people are able to give feedback and present different points of view to the audience. Living in a virtual environment gives us the ability to have a voice in topics and subjects that we couldn’t previously. Even though I though this was a confusing topic, I understand why it’s relevant in my life and in today’s society. We probably all know someone with Asperger’s Syndrome, or AS. I was friends with some kids from my high school with AS. People with this syndrome can be quite intelligent, but also may be eccentric. By this I mean that they have specific interests but could have trouble adapting in different social situations. Asperger’s Syndrome is defined by the National Institute of Neurological Disorders and Stoke as part of the autistic spectrum where the person suffers from communication difficulties and social impairment. AS doesn’t inhibit a person from normal activities. 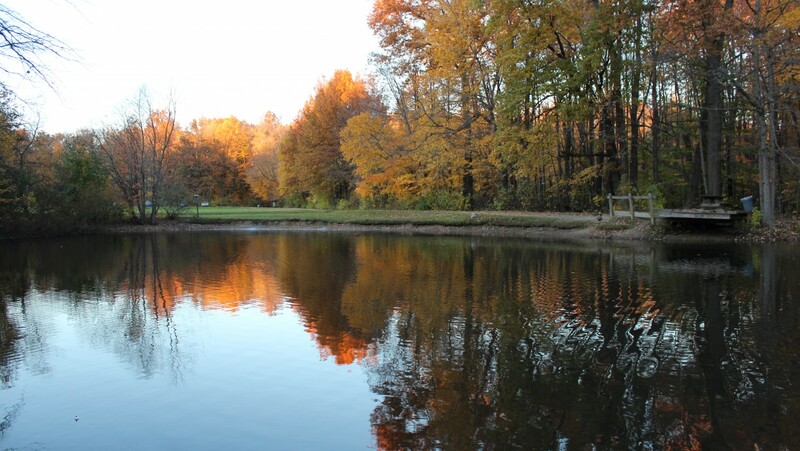 People affected by AS can be fully functional in society, but with the right environment. In order for these people to be successful in jobs and in school, the community around them should be aware of their condition. AS awareness can help people with AS reach their full potential. Patience is an important quality to keep in mind. The person may struggle with social interactions and relationships. By understanding this, coworkers and bosses and teachers and classmates will be able to be patient with them. There are therapies available to help people overcome this syndrome. Though to be most effective, the therapies are catered to the needs of the patient, some of the basic therapies are social skill training, medication, and occupational therapy. There are a lot of different organizations that raise awareness for AS and also fund research. One widely know organization in particular is called Autism Speaks. Since Asperger’s Syndrome is part of the autistic spectrum, it falls under this charity. Autism Speaks offers a number of resources. They accept donations to fund research, provide a database of information about autism and AS, provide resources and information to a response team, and host events and walks to raise awareness. This organization is established and exists to help people and families dealing with autism and Asperger’s Syndrome. The group communication has improved! My group in Second Life met and discussed our project. First only two of us arrived in the virtual world. It wasn’t very promising since neither of us can attend class regularly. Previously, we chose the theme of our project to be Asperger’s Syndrome. The two of us decided that we were going to research the topic further and look into charities. We were about to leave when our professor appeared in Second Life and helped us out. Soon after, a third member of our group showed up. After asking clarifying questions about the project, we finally understood the expectations and were reassured that we weren’t totally lost or very far behind. After all the discussion, we learned how to build objects in Second Life! This will be helpful in our presentation of our project at the end. We will have to upload pictures of slides onto a flat surface to present. It took a while to figure out what I was doing and what buttons to press, but I was able to build a couple boxes and a floating cone (very exciting, I know). We were just messing around, of course, but it was fun and made Second Life more interesting. It’s not just a social site anymore. It can now be a virtual canvas. Stay tuned for my research on Asperber’s. Even though the title of this blog post is one of the most overlooked aspects of the online world, it is important to read what you agree to as a user. What if you go to the grocery store to use a 20% off coupon, but when you go to check out, the cashier tells you that its only valid on Tuesdays, even though it doesn’t say that on the coupon? I don’t know about you, but I would be pretty upset. Changes the terms of this coupon without notifying the customer isn’t fair. Neither is changing the terms of an online site or code or content. I never really thought about the “laws of the virtual world” until I read the article, Content and Licensing in Virtual Worlds by Shenlei (http://shenlei.com/2010/10/13/content-licensing-in-virtual-worlds/). I always thought that the terms that I was agreeing to were produced by lawyers, not the creators of the content. It amazes me that people can publish virtual worlds, some that even require money to take part in, with their own license, which they came up with. To me, this seems fishy. Getting a lawyer may be a lot of hoops to jump through, but personally, I think having the integrity is worth it. Even if these creators don’t intentionally mean to scam people, that may be where they end up if they overlook certain necessary clauses. Another interesting, but lengthy read is The Laws of the Virtual Worlds from the California Law Review in 2003 (http://papers.ssrn.com/sol3/papers.cfm?abstract_id=402860). Does something in the virtual world have value in the real world? Who is entitled to ownership? The fact that creators are making their own laws and licenses create a large realm of problems. What should regulate virtual worlds? If laws are created, how will they control a virtual world that already has its own terms and conditions? I think that creators are entitled to govern their own virtual creation. It’s almost like art. The artist can create whatever comes to his or her mind and they can sell it to whom they please. Virtual worlds are indeed a free market enterprise after all. I do strongly believe that there should be some form of regulations and that there should be legal steps taken for licensing. Should this be required? Maybe. Some medications aren’t approved by the FDA yet, but are still on the market. It’s the user’s risk and decision. Whether they choose to use an approved site or not, they should still have the facts and read the terms and conditions so they know what they are agreeing to. What’s the best way to get to know new people? By talking to them, of course! During my recent adventures in Second Life (SL), I started conversations with a number of people. At first, they didn’t really respond. Getting people to answer even the simplest of questions proved to be difficult. I figured that going to the “newcomer friendly” zones would spark more conversation with other SL rookies. First I visited the Shelter. There was a dance floor and a lot of people hanging out. I introduced myself and told them that i was new around here so they gave me links to free stuff (I didn’t click on them just because I generally don’t click on links from strangers). I came into this place in the middle of their conversation. It appeared as if all the people talking knew each other. They were discussing something called an OS grid(?). Even though they paused their own conversation to answer my questions, they continued talking to each other shortly after. At this point, I decided it was time to find other people to talk to. I teleported to a place called Caledron. I believe it belonged to some university because of the look and one person I met had the title of assistant dean. The person with the flowing dress is the assistant dean. I started talking to the people around and they were very friendly. Someone noticed that my outfit was a little glitchy so they gave me a link to go to to fix it (once again, I don’t generally go to links from strangers so I decided against it, but it was a very nice gesture). We didn’t really get into any deep conversations, but I still had a good time. What did I learn from this adventure? People are willing to talk to you if you go to the right places. A lot of times people don’t want to talk, or are just plain rude about answering simple questions, but there are people out there that are willing to help and willing to have a conversation. I have experienced a couple communication problems with virtual communication. I think we all sometimes get into the bad habit of reading an email or a text and the forgetting to respond. My group in my colloquium course has sent a couple emails to each other, but I feel that we aren’t communicating efficiently. I feel like we don’t know what to communicate about at this point. I know that I am relatively out of the loop because I can’t attend class during the set meeting time, but even so, there are issues with communicating. I have faith that once the semester goes on, this problem will get better.